This week’s 20 questions is with Chiefs’ 1st baseman Jeremy Schaffer. Jeremy played 75 games for the Chiefs in 2013. 1. How did you get started in baseball? I always loved baseball since I was a kid a played a lot of it with encouragement from my parents. 2. Who was your biggest influence growing up? Both of my parents, they have always been there for me. 3. When/how did you decide you wanted to pursue this career? I realized in high school that it was a possibility so I just went for it from there. 4. How did you react when your dream of playing pro baseball was first achieved? Excited and overwhelmed because it’s something you work so hard for. 5. What do you remember from your first professional game? I started off 0-2 and then got my first base hit against the Greenville Astros in Johnson City. 6. What has been your favorite moment in baseball (professional or otherwise)? Hitting a game tying grand slam at Cedar Rapids in the top of the 9th inning. 7. Who is your biggest fan? My whole family, they are always there for me and pushing me to achieve my goals. 9. Describe yourself as a baseball player in 5 words or less. 10. What is your biggest baseball pet peeve? When people run back to the dugout after striking out. When things are going well I try to stick to the same routine. 12. What is your favorite pitch to throw/hit? 13. From your experience, what is the hardest thing about baseball? Playing every single day, it’s a grind especially when you are struggling. 14. Who is the most impressive guy you’ve played with or against? 15. What has been the best moment this season? I’ve got to go back to the 9th inning Grand Slam in Cedar Rapids. 16. Tell me something you learned throughout this season. I’ve learned a lot about making adjustments while hitting thanks to Erik Pappas. 17. You spend a lot of time on the bus. What’s the best way to pass the time? I’ve been watching Lost, just started the series recently; also playing games on my phone. 18. Much is made throughout the organization about “The Cardinal Way.” What does that mean to you? Being the ultimate professional on and off the field and it shows from the big league club all the way down. 19. What is something people would be surprised to learn about you? 20. Any exciting offseason plans? Taking a road trip to New Orleans with Charlie Tilson and working out in Houston. 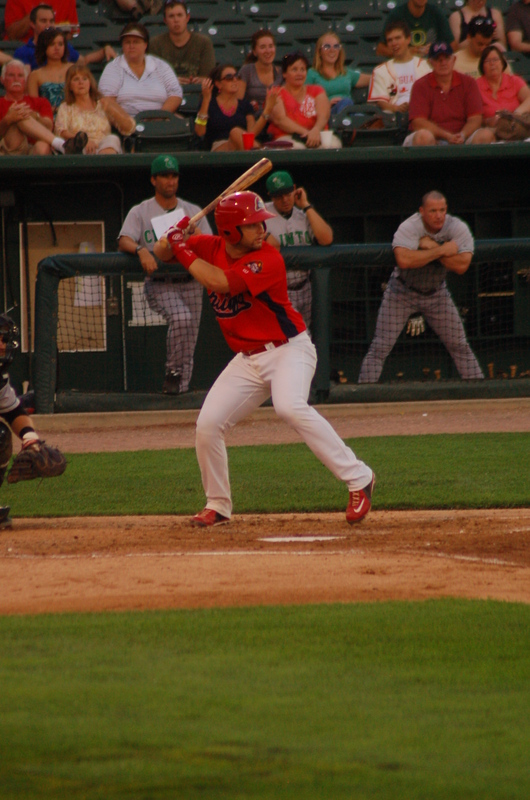 This entry was posted in General Cardinals, Minor Leagues, MLB and tagged 20 questions, Baby Birds, Cardinals, Jeremy Schaffer, Peoria Chiefs, St. Louis by Tara Wellman. Bookmark the permalink.